When New Orleans Suspects arose from the primordial musical soup that is New Orleans, they were a fill-in band and an occasional jam band at their neighborhood Maple Leaf Bar. The group brought together some of the best, most highly respected players in New Orleans including Jake Eckert, Jeff Watkins, CR Gruver “Mean” Willie Green on drums, and Reggie Scanlan. When they started touring late in 2011, naysayers in the Crescent City agreed it would not last; the Suspects would be another short-lived super group that would quickly fall apart under the weight of egos and money. 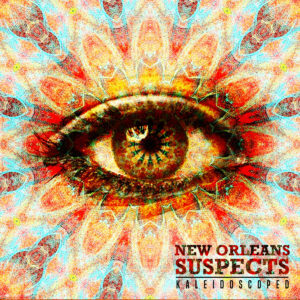 New Orleans Suspects exceeded expectations and some five years later they have delivered their fourth album release, Kaleidoscoped. Jake Eckert, the guitarist and one of the principal songwriters and vocalists, is a veteran of ten years on the road with Dirty Dozen Brass Band, a former member of Larry Carlton’s band, and a Grammy Award ®-winning engineer. He has extensive formal music training and actually taught at the prestigious Guitar Institute of Technology. Not only has Eckert won a Grammy, he played on The Grammys broadcast with New Orleans legend Allen Toussaint. Kaleidoscoped was recorded at his Rhythm Shack Studios with assistance from Suspect Jeff Watkins, a twelve-year veteran as sax player and section leader for the late James Brown, who constantly referred to him as “the ninth wonder of the world.” Watkins has a formal musical and engineering education, having attended both the Universities of Missouri and Miami. 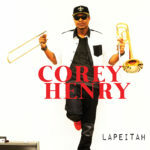 He was a long-time member of the Joss Stone Band and has performed on multiple network television shows. Keyboardist CR Gruver, the other principal songwriter and vocalist, spent years immersing himself in the piano style of New Orleans legends like Dr. John, James Booker and Allen Toussaint and is arguably the best living practitioner of the New Orleans boogie-woogie piano style, which is an aggregate of boogie-woogie, Caribbean rhythmic patterns and second line. Gruver made a name for himself, first in Philadelphia, then in the Rockies, with his band Polytoxic, and later with Southern rockers Outformation. He also spent time in Leo Nocentelli’s band, pursuing the Meters’ groove. “Mean” Willie Green, best known for his 35 years as drummer for The Neville Bros., has also played on albums by Bob Dylan, Paul Simon, Edie Brickell and The Grateful Dead. He literally invented one of the primary styles of New Orleans trap drumming for which he gets credit from musicians around the world. Founding bassist Reggie Scanlan spent 34 years on the road as an original member of The New Orleans Radiators after stints with both Professor Longhair and James Booker. The scholarly Scanlan, one of the last living connections to the original generation of New Orleans R&B musicians, has had to leave the road due to illness. Charlie Wooton (formerly of Royal Southern Brotherhood) now fills the touring bass chair. 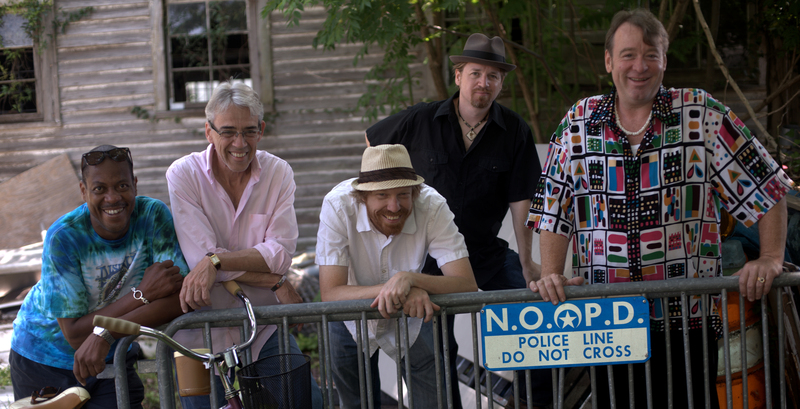 Scanlan’s illness drove the Suspects to help fund medical care for the New Orleans music community. 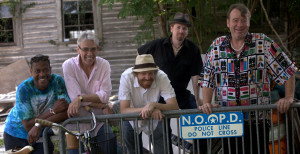 Scanlan, the band and its management have organized and directed numerous benefit concerts for the New Orleans Musicians Clinic, a 401(c)3 foundation that provides free and low-cost medical care and counseling for more than 2,500 musicians. The band’s work with the clinic led them to join forces with JoJo Hermann of Widespread Panic to present three versions of the benefit series “Down on the Bayou,” featuring the Suspects as musical directors and house band with guests as diverse as Dr. John, all members of Widespread Panic, Al Schnier of moe., Marcia Ball, Harry Shearer, Leland Sklar, members of Aquarium Rescue Unit and “Beehive Queen” Christine Ohlman from the Saturday Night Live band. 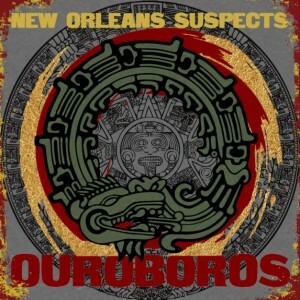 New Orleans Jazzfest founder and current director Quint Davis says, “The Suspects are deep tissue New Orleans Funk and have emerged as one of the banner New Orleans music groups; taking their place among the standard bearers of our music. And they rock! Rather, funk.” They have become a regular fixture at noted concert and festival venues in San Francisco, San Diego, St. Louis, Chicago, Minneapolis, Washington, D.C., Philadelphia, Atlanta, Birmingham, and in what has become a major stomping ground, New York City, where Village Voice called them “a seriously funky crew,” and even The New Yorker occasionally notes their passing through the metropolis. 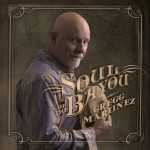 The San Diego Union Tribune called them, “a rollicking blend of funk, jazz, blues, rock and vintage N’awlins R&B, designed to fill dance floors with gyrating celebrants.” They have formed touring alliances with Tower of Power, Glen David Andrews (of Trémé fame) and Paul Barrere and Fred Tackett of Little Feat. 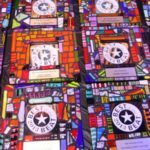 The Barrere/Tackett/Suspects mash- up has been increasingly in demand at music festivals and has generated a track, “Dixie Highway,” that appears on Kaleidoscoped. 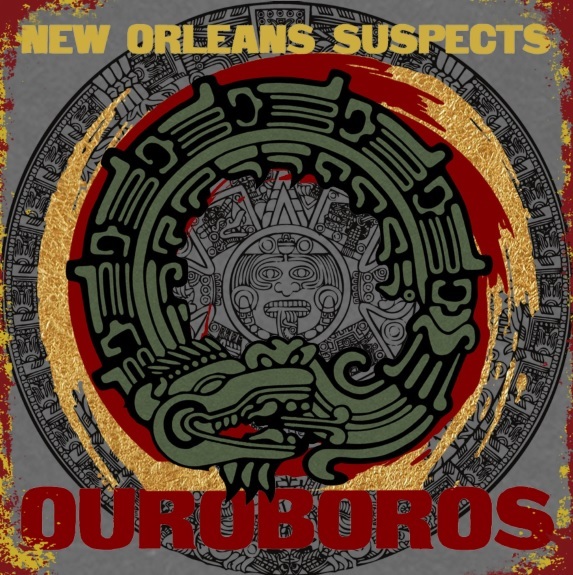 Members of Tower of Power and “Big Chief” Juan Pardo also guest on the album on which the Suspects look at the history of New Orleans music through a brightly colored prismatic chamber and thus the album title.